In a world where protecting your customer data is becoming more and more essential, we take care of your card payments so that you don't have to. Our simple and secure payment gateway is quick and easy to use, and our staff are always on hand to ease you into a quicker, safer method of payment processing that may even remove your business from the scope of PCI Compliance. We are able to integrate into most if not all online shopping carts. Don't use one we have in our database? No problem! We are flexible enough that we can modify our systems to include any cart you need, managing payments in your online store quickly and safely. Our API has been developed with third party developers in mind, designed to fit in seamlessly with your existing media and business plan. We have the facilities to allow your tech staff/IT departments to interact with our systems, and our flexible API is secure and easy to use. If your web company wants to use our facilities, but have no employees with training to set it up, we can work with them, too. We provide a snippet of code to copy and paste into your web page to provide a payment page that fits perfectly into your website. We can work with your business to remove the requirement for holding customer credit card data and to manage your card payments without your needing to be compliant. We go to the trouble for you, so you don't have to. As a BACS-approved Bureau, we are authorized to connect to BACS to submit payment files. 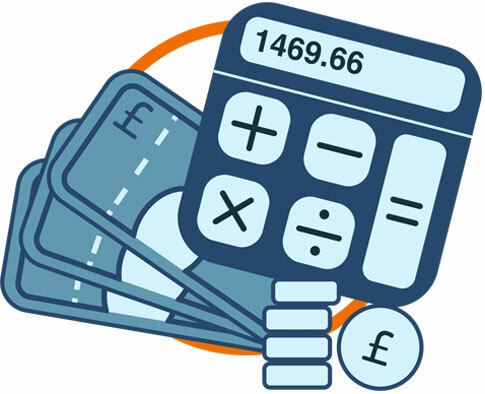 We have extensive experience in managing Direct Debits and Direct Credits, and can provide an easy pathway for your payments safe from legal jargon and government penalties. We have an integration to PayZone that allows us to collect cash payments across the UK using a simple barcode. We send your customer a barcode by post or email, and they can take this to one of PayZone's 27,000 agents to make their payment in cash.With Irax there is no more need to send your cheque through the post, or for dealing with lengthy clearance cycles. Your payments can be sent with less hassle and no worries. All this and more can be achieved through Irax's secure Level One Compliant software. All you need to do is ask, and Irax can figure out what can be done to protect you and your business.